Aside from trade and economic development in emerging markets, social and cultural trends are increasingly important and will affect not only the country of origin but will spill over to other parts of the world. Nollywood, the commonly used term for the Nigerian film industry has become one of the country’s big success stories, massively popular at home and an increasingly visible export across Africa and beyond. Nigerian films are typically made extremely quickly, often in a week or less, on a tiny budget and go straight to DVD. As DVDs are pirated so quickly, the film makers only have a two week window to make money before the pirates have copied and distributed the movie. The films have become a hit across Africa, helped by poor quality TV networks and the high cost of cinemas. This is changing with IrokoTV being an major driver of selling films online, to a an increasingly worldwide audience. But the success of this cultural export has attracted powerful enemies in the form of some African cultural commentators and academics, who resent the perceived cultural imperialism and “Nigerianisation” across the continent. China overtook the US to become the world’s biggest art market in 2011. 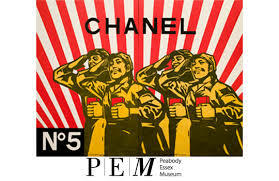 Although a lot of this demand springs from speculation, tax evasion and other nefarious schemes, there is little doubt that the growing wealth of the country has fuelled demand for both contemporary art, as well as ancient and antique art from China (and a desire to see this returned from other parts of the world) along with interest in European Masters and other works from the rest of the world. The Basel Art Fair is just one of many institutions that have set up shop in Hong Kong and the Mainland to tap into whims of China’s new rich. This shift is just the beginning and we should expect to see more Chinese and other Asian buyers taking art to the East, and at the same time we should also see the emergence of more Chinese artists, whose fame will grow alongside their patrons wealth. The great worldwide shift from subsistence farming and rural livelihoods to urban existence is rapid and on-going. Urbanization in turn helps to swell the numbers of the middle class in rising powers. Having a disposable income is a crucial socio-economic leap and creates demand for new products and services (which is what economists notice), but also demand for political change and reform and because this population are in cities they are easily able to mobilise and makes demand of the government (this is what political scientists notice). Another factor is demography, Africa, the Middle East, South Asia and Latin America; all have populations skewed towards the young, who are more likely to be consumers, but also to demand political and social change. New found prosperity does not always lead to satisfaction, but instead leads to demands for change. The other scary aspect for governments is the speed and unpredictability of protests and the authorities’ apparent inability to react to them – instead police react with violence and further inflame opposition. These events show how seemingly comfortable elites can be forced to change course or toppled in a short space of time. Countries which are rising rapidly should take careful note. The next two World Cups along with the next summer and Winter Olympics will all be held in Rising Powers. Russia, Brazil and Qatar will see their organisational abilities and infrastructure tested to the limit, along with their political reputations. South Africa’s successful World Cup showed how it could be done, but recent protests in Brazil and Russia show that dissatisfaction with governments could lead to the events being overshadowed by protests, violence or embarrassing infrastructure delays. Qatar certainly has oodles of cash, but faces the same perceived lack of legitimacy that all absolute monarchies face, Russia faces the danger of Islamic groups threatening the security of the Games and recent events in Brazil show that people are willing to march against the government during a football tournament. However, if the countries can make a success of the games, they promote themselves to a world audience and dramatically increase their “soft power”. I suspect Brazil will find this easier than Russia, the South American country already has an image of an easy going, party and football loving populace, but a successful smoothly run World Cup and Olympics will enhance this by presenting an efficient, modern rising power. Russia has a more negative image, mainly thanks to its increasingly autocratic government, but the World Cup and Olympics will lead to unprecedented visitors exploring the country which may boost its “soft power”. Despite the shift of manufacturing and economic power to developing nations, Europe and the US has retained the lion’s share of global brand names, demonstrating their lead in innovation and intellectual property, showing us that owning an idea or brand can be more valuable than the product itself. In contrast brands from emerging markets are relatively unknown, but this could be about to change, according to this book “Brand Breakout” which looks at how companies from emerging markets are planning on taking their products and brands to a global audience. Could we be soon consuming Turkish, Nigerian and Brazilian brands, and will this change the way we view these different countries?